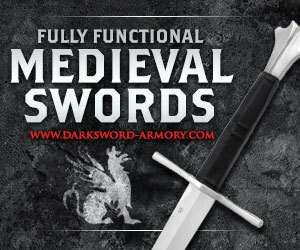 While the sword fighting schools of medieval Europe died out as a living tradition many hundreds of years ago – recent years have seen them undergo something of a renaissance. 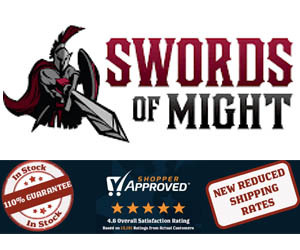 The surviving knowledge of the medieval knightly sword fighting tradition can be broadly divided into two main categories: the earlier schools of sword and buckler, and the later period of wielding the Longsword (also known as the hand and a half sword) – which span a period from approximately 1300AD to 1500AD. Before this time, the fighting techniques were a purely oral tradition and have, unfortunately, been lost. Of the former, there are only a handful of reliable sources - including the most famous, and the earliest the Tower Fechtbuch – more commonly known as MS I.33 (pronounced one thirty three – pictured below). 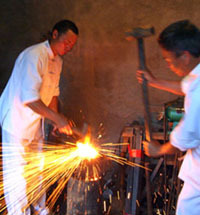 While significant work has been made to restore these art of fighting with sword and buckler, there is little doubt that the majority of today’s efforts have been focused on the Longsword, partly because of its romanticism, but more so because the amount of source materials is comparatively richer. You can find many of the original manuscripts here at the ARMA website, though as many are written in the somewhat archaic (by modern standards) Olde English or untranslated Old German. 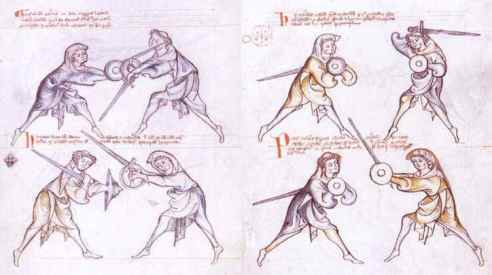 The latter period medieval sword fighting schools were primarily divided into the German and the Italian traditions. While both wield practically identical longswords, they do so in somewhat different ways. 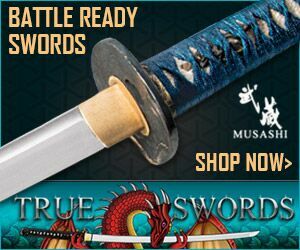 Despite the fact that the lines between the two sword fighting schools are often blurred – some generalizations can be made. Neither school is superior, and each tends to reflect a little of the personality of the people, and the masters, who designed and further refined them – such as the great Johannes Liechtenauer of the German school and Fiore de' Liberi of the Italian tradition. 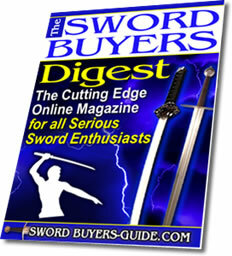 Unfortunately, the older sword arts faced a slow and lingering death in the face of the rise of the gun. 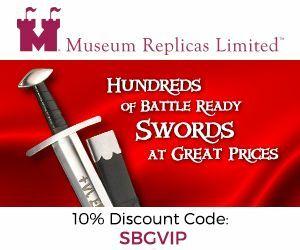 The subsequent abandoning of traditional armors, the cavalry sabers of the new military and swords designed for civilian use (such as the rapier and smallsword) were the final nails in the coffin. On this page, you’ll find a list of ARMA chapters with the relevant contact information. They can also be contacted directly so that you can register your interest in finding a practice partner in your area. 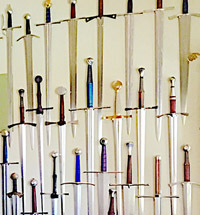 With their main school in Santa Clara, CA, Steaphen Fick's Davenriche European Martial Arts School explores the 14th to 16th century long sword, daggers, sabers and more! You can visit their website to find out more here. In Europe, there is a very cool googlemap that lists major sword fighting schools by Geography. 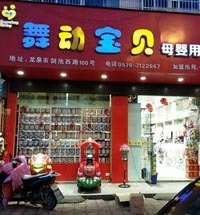 Simply click on the ‘ballons’ for their website address. 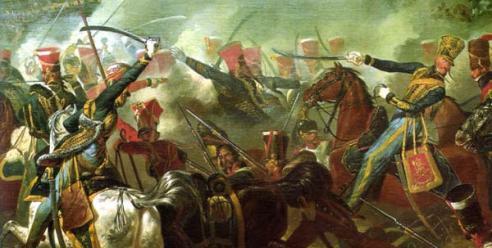 Eventually though, the evolution of warfare in Europe took its toll. And as the last of the masters died out, the earlier traditions were preserved only in a handful of old and neglected manuscripts. Before this, there were a few scattered attempts here and there – most focusing more on role-playing than on a serious endeavor to restore the sword fighting schools as a valid martial art again. 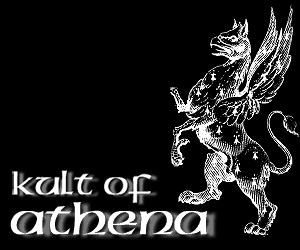 But, driven at first primarily by the ARMA (Association for Renaissance Martial Arts) and soon after quite a few others using the internet to create a means of gathering more like minded individuals and sharing, and preserving rare manuscripts online, momentum started to build. 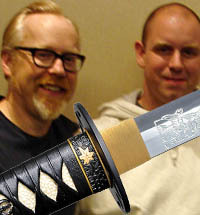 While it can be argued that the lack of a living tradition means that we can never be sure if our attempts to revive the old methods of fighting are correct or simply our interpretation, much careful and painstaking work has been done – and these days it is possible to find sword fighting schools and modern day manuals that if they are not exactly the same as the original medieval techniques, would not be too far off the mark. For those who simply do not have access to one of the fight schools, there are a number of manuals (and one DVD) that cater to this requirement. 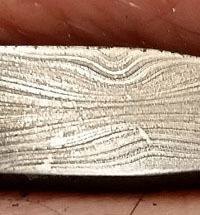 Below I have listed some of the best ones for beginners – because even though there are quite a few more, many of them can be too academic and dry in tone to be of much practical, hands on use. 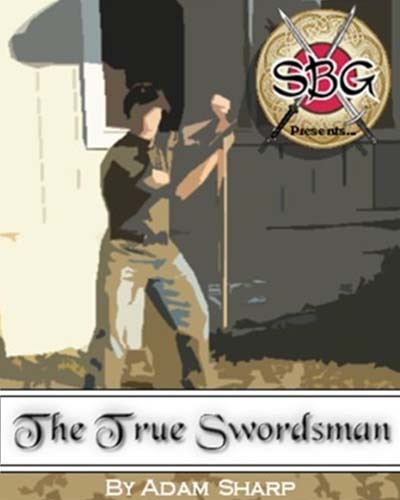 Written by a young martial artist Adam Sharp and published by SBG, the Trueswordsman ebook is a comprehensive introductory guide to learning the basic footwork, guards and master strikes of a modern interpretive fusion of both the Italian and German sword fighting schools.